Playing online poker can be both fun and profitable. One of the best ways to build your bankroll is to take advantage of poker bonuses available at top-rated online poker sites. For 2018, we can recommend several sites that offer good value for new players as well as provide continual promotions to help you add a little extra cushion to your bankroll. Learn more about what an online poker bonus is and what options are available from reputable sites we trust. An online poker bonus is an incentive that a poker site provides their members. Most every online poker room provides a welcome bonus as a way to treat a player for signing up for a real money account. A bonus will offer players a percentage of bonus cash back based on a certain deposit amount or might even be free cash to do with as you please. All bonuses have wagering requirements, for the most part, so be sure to read the terms and conditions to fully understand what is on offer. Always ask customer support for help if you find the terms and conditions difficult to decipher. Welcome: This bonus is one offered for new members of a poker room. In general, a welcome bonus will be a 100% match up to a certain dollar amount. Reload: This type of bonus is for existing players. Simply make a deposit that fits within the min and max amounts to earn a percentage of cash back based on the amount you add to your account. VIP: This bonus will be offered to VIP members only. 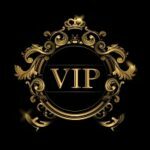 If an online poker room has a rewards program, they may offer VIP bonus opportunities based on the VIP level of the player. When it comes to bonus options, we feel you need to know the best sites for gameplay as well as incentives. Below are a few examples of online casinos for US and international players, with bonus options available. BetOnline: Here players will have access to a 100% First Deposit Bonus worth up to $2,500. The site also offers a $10,000 New Player Freeroll for first-time depositors. Bovada: At this site, poker players have access to a 100% Poker Welcome Bonus worth up to $500. Sportsbetting Poker: Access a 100% First Deposit Poker Bonus at this site, worth up to $2,500. Ignition Poker: Join this online poker room and have access to a 100% Bonus worth up to $1,000 unlocking the bonus by earning poker points during gameplay. Betway: New players at this online poker site can access a first deposit bonus worth up to £750 by depositing a minimum of £10. 888poker: Here players have access to $10 free as well as a welcome bonus worth up to $400. Online poker players can benefit from taking advantage of bonus opportunities. As a new player, you have access to the best bonus options, as poker rooms offer bigger bonuses to their newer members. Once you have joined a poker site, be sure to check the promotions page so you can access additional promotions as they are offered, including reloads and special offerings.